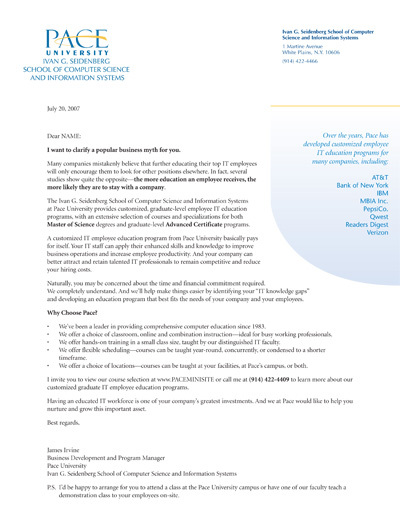 Pace University wanted to increase enrollment at their Seidenberg School of Computer Science by appealing to area companies that often paid for their employees’ continuing education courses. Recipients were directed to a mini-site (also written by MarketingWorks) to enroll or learn more. This campaign helped Pace achieve a 29% increase in their computer school enrollment that fall.